I’m am delighted to welcome a new voice to my blog today today. All the way from Canada, the lovely Julie Frayn is answering questions about her hit novel, Mazie Baby. Julie is also giving you the chance to buy her novel at a bargain price!! Let’s dive in with the first question! The first inspiration came from a flash of a scene. Just scissors sticking out of a man’s thigh. While I wrote it, the faces of women I know have been abused kept popping into my head, including one woman who was murdered by her husband before he committed suicide. I hadn’t intended to write an abuse victim’s manifesto, but that seems to be how it is being received. So much research! I read true stories of domestic abuse, studied the stages of abuse, and of grief. There was research into the Canadian legal system. My brother is a police officer, so he was a great resource, and a friend introduced me to a Crown Prosecutor who helped me get the trial details right. I am grateful to them, and to the Google Gods as well. I write in third person deep POV. Deep means you do away with the ‘he thought’ and ‘she wondered’ and just state their thoughts. You are inside their head, but it’s not first person narrative. I’m a pantser. I go along for whatever ride my characters take me on. The honesty with which the tale is told – an ‘unflinching eye,’ as another author has termed it. Also, the enthusiasm with which it is being received. And of course, the cover. My sister, Carolyn Frayn, created the cover while undergoing chemotherapy (for the second time). She made the blood from beet juice and corn syrup, and used my daughter as the model for Mazie. It’s a beautiful, and very personal cover. 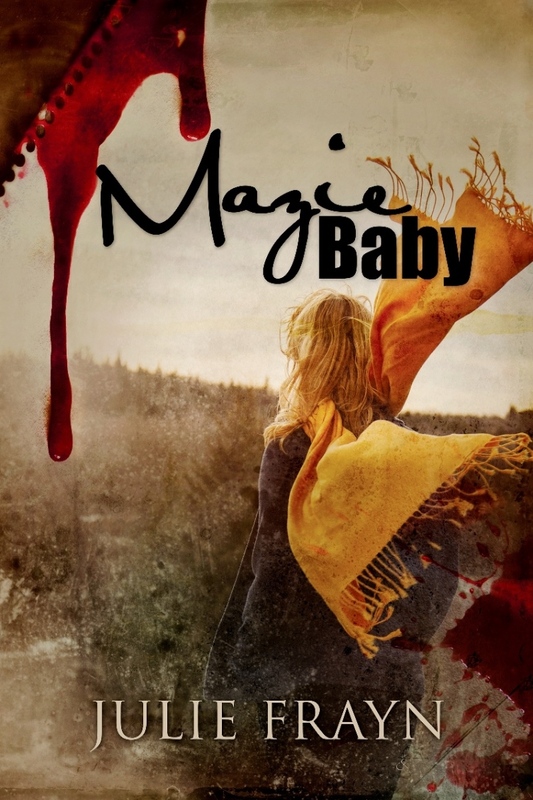 Mazie Baby is on sale from March 5 – 11 for $1.99 (regularly $2.99). I think that translates to about £1.29, normally £1.94. Sending out a huge thanks to UK readers who have really taken a shine to the story. 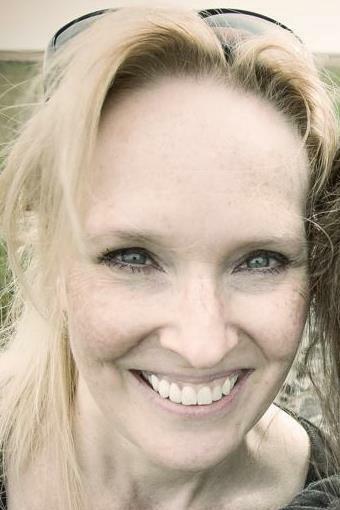 Julie Frayn pens award-winning novels and short stories that pack a punch. And a few stabs. She has published three novels and two short, short story collections. Suicide City, a Love Story won two gold medals in the 2013 Authorsdb cover contest, It Isn’t Cheating if He’s Dead won the Books and Pals 2014 Readers’ Choice award for women’s fiction, and Mazie Baby was named to three Best of 2014 lists by Suspense Magazine, IndieReader.com, and Readfree.ly. A bean counter by day, Julie revels in the written word. When she is not working or writing, she spends as much time as possible with her two children (grown adults, really), while they still think she’s cool. Many thanks for coming by today Julie! Great interview. Don’t forget to grab your BARGAIN priced copy of Mazie Baby folks! Thanks so much for having me and Mazie, Jenny! You are more than welcome- thanks for such a great interview! Nice to chat to a fellow pantster!! I never tire of reading about you, Julie, or your amazingly successful novel. You were obviously inspired and it shows in your work. Wonderful interview! 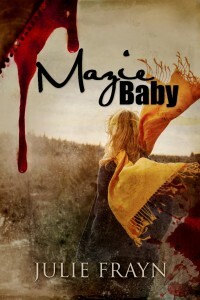 Julie is a gifted author and MAZIE BABY is an outstanding novel! Jenny Kane, you have just highlighted one of the best books I have read all year. Mazie Baby is stunning. I’d give it 10 stars if I could. but really, it shines. Julie Frayn is so talented. Loved the interview. I hope we see you at eNovel Authors at Work Celebration to thank our readers, reviewers and bloggers who have been so supportive of us the past year. Jackie, thanks for your continued support and kind words. I’m ashamed to say I STILL have Mazie Baby on my TBR list and I downloaded it ages ago! ButI’ve heard amazing things about it and now you have spurred me on to reading it! Thanks for the interview.